Green Crack is like a turbocharged mango-flavored energy drink. It's a variety of marijuana that will offer you a fruity rush of pure cannabis-generated adrenaline. It's a safe bet that doesn't compromise on quality. 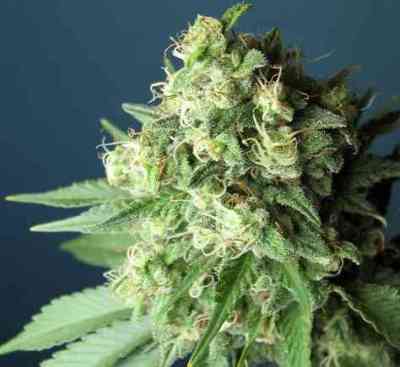 It has a reputation as being simply spectacular, given its stellar combination of highly desirable qualities that are much sought after with different marijuana varieties: great overall performance, easy growth, energetic buzz, and exquisite fruity flavor. The FastBuds' team is very proud of this variety that is now to be introduced in the European market, and already enjoys a strong following in the US market, especially in California. Taste: The flavors that develop are ideal for lovers of fruitiness. Tart citrus predominates, while earthiness with an exotic touch is evident in the aftertaste. with its powerful fruity spiciness and sweet scent of mango, this variety is perfect and enjoyable when used for medicinal use throughout the day. Effect: Green Crack really hits you with lots of energy. Its THC content of 20% and low CBD make it an ideal medication for patients who are treating fatigue, stress and depression. Recommended for use during the day. It helps when used as a treatment for patients with chronic fatigue and high levels of stress and depression. It is also indicated for severe cases of Crohn's disease since it reduces nausea and stimulates appetite. Perhaps it's the strain's aromas and terpenes that induce a feeling of wellbeing and enhance vigor and energy. There's no doubt that few strains can match the concentrated energy that's produced by this hybrid. It works on a cerebral level as an elixir for your neurons, inducing an invigorating effect. Growing: This strain is sativa / indica hybrid with some Afghan phenotypes. 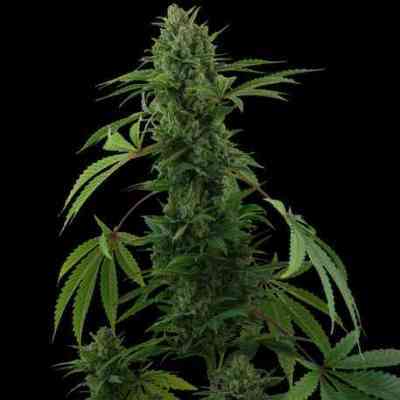 The remaining lineage comes from two genetic lines of sativa / indica type descendants of Skunk # 1 and ruderalis. It is strong, vigorous plant and very productive. As with all our products, it's an easy-to-grow hybrid as well as autoflowering and feminized, making it suitable for both indoor and outdoor cultivation. It grows to medium-large size, with a minimum height of 60 cm (2 ft). You will be surprised by its optimal internodal distance. It can be harvest in just 8-9 weeks and has very good yields, almost 650gr/m2 (1.4 pounds per light). 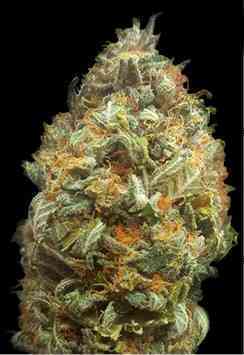 Its buds are denser than with average sativas. When in flower it is literally covered with resin and the buds are completely White.